Do Mangoes Increase the Effects of Consuming Cannabis? True or false - mangoes increase the effects from consuming cannabis? There are a lot of urban legends out there when it comes to cannabis. As with just about anything, some of the legends are true and some of them are outright false. Because cannabis was consumed in the shadows for so long, and information suppressed by opponents, a lot of half-truths have been thrown around over the years. One thing that I heard about a handful of years ago was that eating mangoes before consuming cannabis increases the effects felt from the cannabis. I was very skeptical because it sounded too good to be true. But it turns out that there is definitely some merit to the claim. There are numerous terpenes found in the cannabis plant. Terpenes are aromatic organic hydrocarbons, and are responsible for the cannabis plants' aroma. A study in 1997 in Switzerland looked at the 16 most common terpenes found in cannabis. The most abundant of the terpenes was myrcene, followed by pinene, limonene, carene, humulene, bergamotene, terpinolene, and caryophyllene. Myrcene is an interesting terpene, because of how it increases the effects of cannabis in the brain. Myrcene has been proven to change the permeability of cell membranes in the brain to allow more absorption of cannabinoids, thereby increasing the effects. Where else can myrcene be found? Myrcene can be found in hops, bay leaves, eucalyptus, lemongrass, and, you guessed it, mangoes. Mangoes have a high concentration of myrcene. 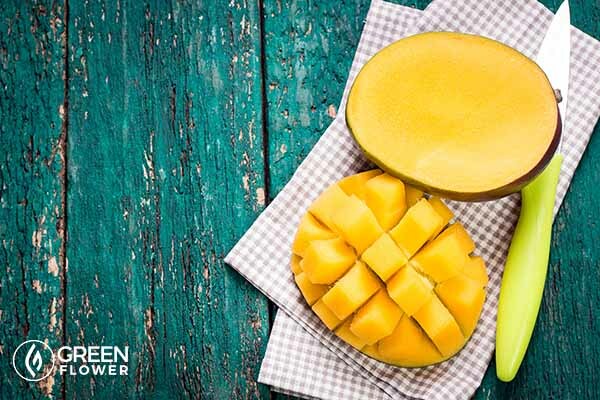 How much mango should one eat before consuming cannabis? Rumors have been swirling since the 1970s as to the mango's ability to increase the effects of cannabis, but it wasn't until somewhat recently that people began to understand why. So how much does one person have to eat? Is it just a sliver, or do you have to eat an entire box of mangoes, or something in between? It's important, because no one wants to be too intoxicated. On the other hand, if you are going to eat mangoes for the purpose of increasing the effects of cannabis, you want to make sure you eat enough, right? Different terpenes serve different functions, and are therefore better at treating certain conditions than others. Terpenes all provide benefits, but some are more plentiful than others. Consuming strains that are high in myrcene are great at treating pain because those same strains tend to be very strong due to the scientific properties of myrcene. Obviously, eating a mango ahead of time further increases the strength. Myrcene can also help slow the growth of bacteria, can help people sleep, can help reduce inflammation, and helps mitigate the effects of diabetes. Both food and cannabis have long been tapped for their respective natural, powerful medicinal qualities. But how well do they work together – or do they? Is there a particular superfood-cannabis synergistic combination, or is it most effective on an empty stomach? 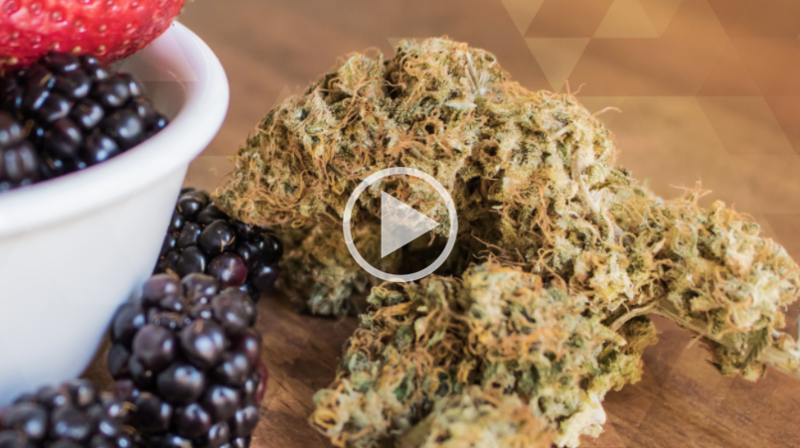 Laura Lagano from the Holistic Cannabis Academy joins us to shed light on the role food plays in helping and/or hindering the cannabis healing process. Are you overconsuming cannabis and you don't even know it? Attention Cannabis Patients: We're Looking For Success Stories To Prove That Cannabis As Medicine Works!